A well-functioning immune system is essential to avoiding illnesses and infections. The team at The IVy by HHMD specialize in injection therapy that is pain-free and relaxing. Injection therapy, which includes IV drips and vitamin injections, can support your immune system to improve your health or recover from an illness. Call the Glendale, California, office or click now to schedule a visit and enjoy healthier days ahead. In addition to a healthy lifestyle filled with regular exercise, proper nutrition, and a regular sleep schedule, you can boost your immune system through injection therapy at The IVy by HHMD. Sometimes your best efforts are not enough or you catch a pesky cold or flu that you can’t shake. In these cases, IV drips and vitamin injections can help you get the nutrients and fluids you need so you can get back to your normal activities sooner. How does injection therapy help my immune system? Your immune system is most effective when you are well rested, following a good diet, and have little stress in your life. It can fight off invading viruses and bacteria more easily so the germs you are exposed to don’t cause a major illness. When you have trouble maintaining good habits or you’re exposed to a foreign virus or bacteria, your immune system must kick into overdrive. Unfortunately, these situations cause your immune system to work harder when you’re already low on energy or nutritional resources. Plus, fighting off a new infection your body doesn’t recognize can be difficult. Injection therapy can help you maintain a healthy immune system to prevent illness, especially if you lead a busy lifestyle or travel frequently. It can also improve the function of your immune system when you’re sick, helping you recover from illnesses faster. What are the benefits of IV drips and vitamin injections for immunity? Injection therapy can help replenish fluids and vitamins to fight off colds, cases of flu, and infections faster. For example, B vitamins can restore energy and help you better utilize fats and carbohydrates as fuel. The supplement glutathione supports your liver and kidneys to flush out toxins. Specialty compounds—like Myers’ cocktail—incorporate vitamins B and C, magnesium, and calcium to support your immune system and overall health. 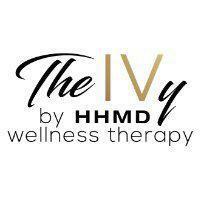 The IVy by HHMD has an in-house compounding pharmacy so you can get nutrients that specifically target your complaints. Injection therapy administers these compounds directly into your bloodstream, bypassing your digestive system, to allow for better absorption. This can be beneficial if you’re experiencing vomiting or general stomach upset and taking oral supplements or eating certain foods may aggravate your condition. Illness doesn’t have to slow you down with immune support at The IVy by HHMD. Call or click now to schedule your visit.